Qantas says its proposed codeshare agreement with Cathay Pacific will have no adverse impact on the competitive dynamics on point-to-point routes between Australia and Hong Kong. Rather, the focus of the codeshare is on attracting connecting passengers who are transiting through Hong Kong to beyond destinations. Qantas told Australia’s International Air Services Commission (IASC) its flights between Australia and Hong Kong were “primarily comprised of origin/destination passengers”, with connecting traffic representing on average 27 per cent of its passengers flying between Brisbane, Melbourne and Sydney and Hong Kong. The Qantas submission said the figure for Virgin Australia was, on average, 21 per cent. “Qantas, Cathay and Virgin will continue the intense competitive rivalry that has characterised the point-to-point routes, with all carriers likely to remain focussed on sales and pricing activity to attract and retain point-to-point traffic,” Qantas group executive for government, industry, international and sustainability Andrew Parker said in the submission. 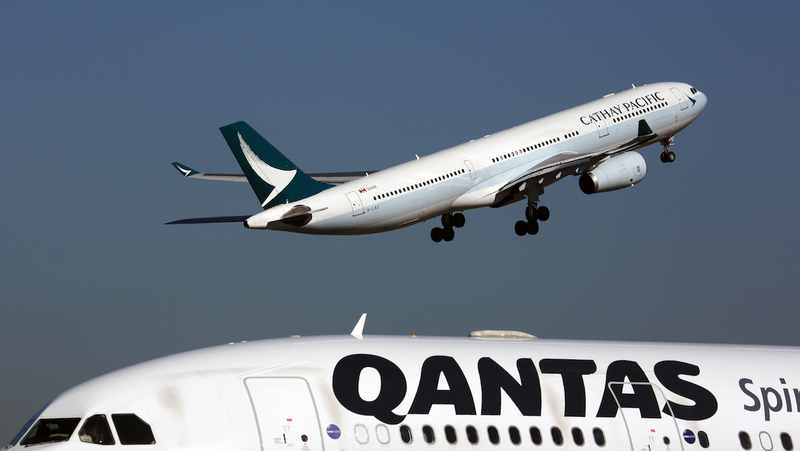 Qantas is seeking regulatory approval for a deeper codeshare partnership with Cathay Pacific. The proposal was for Cathay Pacific to add its CX airline code on 35 Qantas-operated flights a week from Brisbane, Melbourne and Sydney to Hong Kong. The codeshares were slated to begin on March 31 2019. Qantas also planned to add its QF airline code on 35 Cathay Pacific-operated flights a week from the same three Australian cities and Hong Kong. However, this did not require regulatory approval. The codeshare flights on these routes would only be sold as part of a through journey involving connections either beyond Hong Kong on Cathay Pacific to destinations in India, Sri Lanka and Vietnam, among other countries, or to other Australian domestic destinations from Brisbane, Melbourne and Sydney on Qantas. Both Virgin Australia and the Australian Competition and Consumer Commission (ACCC) have raised concerns with the proposed codeshare. In February, Virgin Australia said in its submission to the IASC that it believed the codeshare would “undoubtedly increase the individual and collective market power of the two carriers, at the expense of Virgin Australia as the only other competitor on the route”. “This is likely to significantly erode competition in the market for flights between Australia and Hong Kong, to the detriment of the travelling public and Australian tourism and trade,” Virgin Australia said. 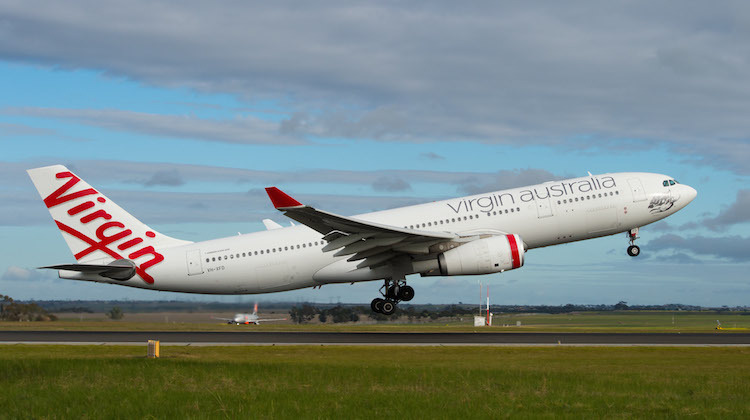 Virgin Australia also argued that the exclusion of point-to-point itineraries would not negate the detrimental impact that the proposal would have on competition on the route. However, Qantas said this was “simply not the case”. “The competitive dynamics on the point to point routes will be unchanged by the proposed variation,” Qantas said. Qantas said Virgin Australia was well-placed and incentivised to respond pro-competitively to the proposed codeshare. The Qantas submission said Virgin Australia, as a “predominantly ‘virtual’ international airline”, had an extensive range of partnerships with other carriers to extend its network breadth and reach, including with alliance partners Singapore Airlines and Hong Kong Airlines. “Our strong contention is that there will not be any softening of competition between Qantas and Cathay on either the point to point routes or on the selling of any through journeys,” Qantas said. Also, Qantas said “it should not be assumed” that the airline would still be able to codeshare on Cathay Pacific’s Australia-Hong Kong services should the IASC reject its application. Instead, the ability for Qantas to codeshare on Cathay Pacific’s flights to Hong Kong from Brisbane, Melbourne and Sydney would be “placed at risk and subject to further discussions between the carriers”. Isn’t it funny how time heals old wounds, I recall not too long ago these two carriers were at each other’s throats with the whole Jetstar Hong Kong disaster. That little exercise cost Qantas millions!!! Does Qantas seriously think anybody doesn’t know this ‘minor’ variation is all about squeezing VA out? This has got to to be quite of the year, “this is all about connecting passengers”, if the ACCC has reservations that spells out as negative consumer outcomes.